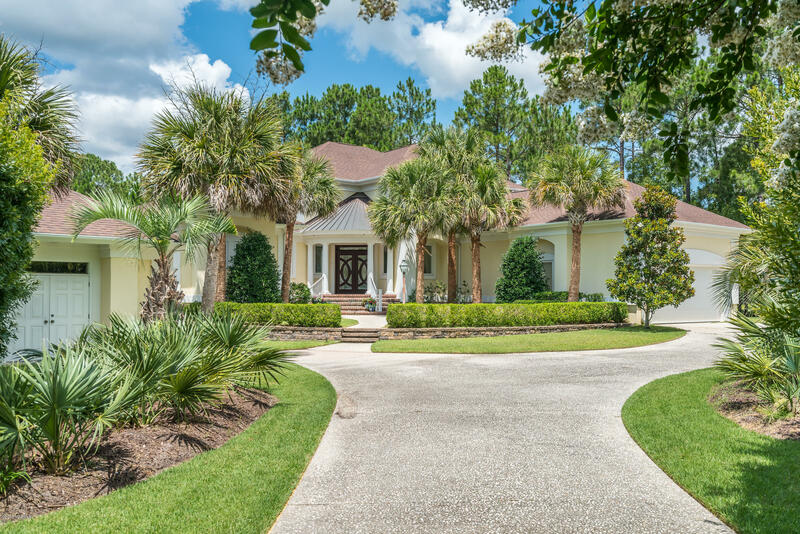 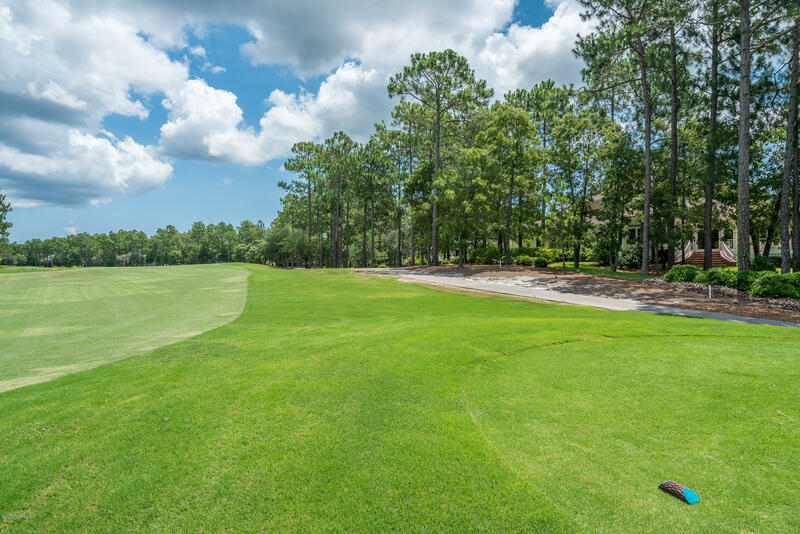 Spectacular, custom built home sited on premier .7 acre lot overlooking tranquil pond and 12th Fairway of the ''Reserve'' Golf Club at St James. 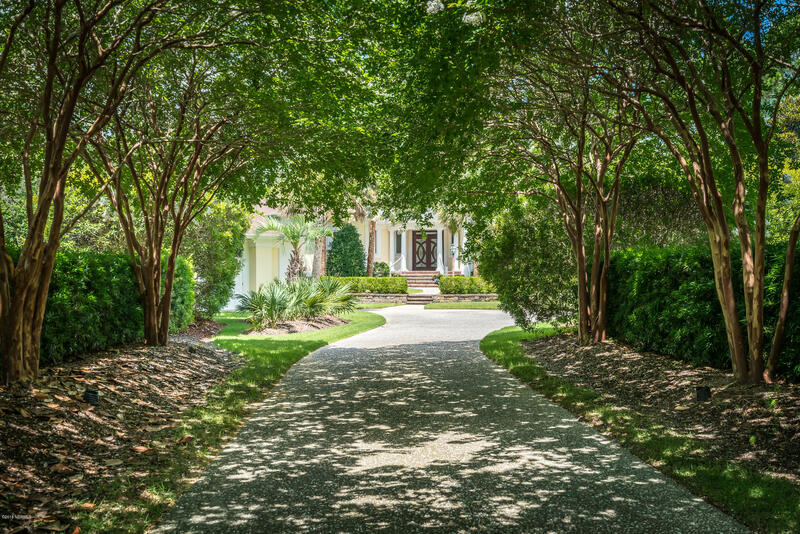 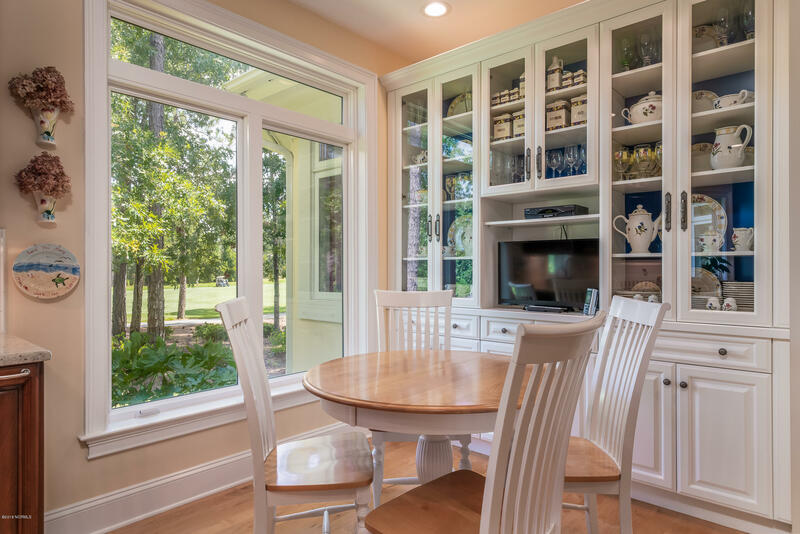 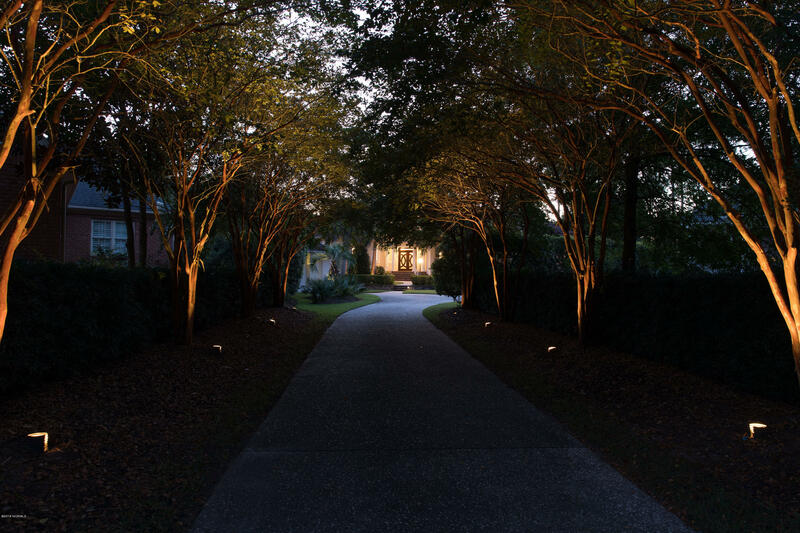 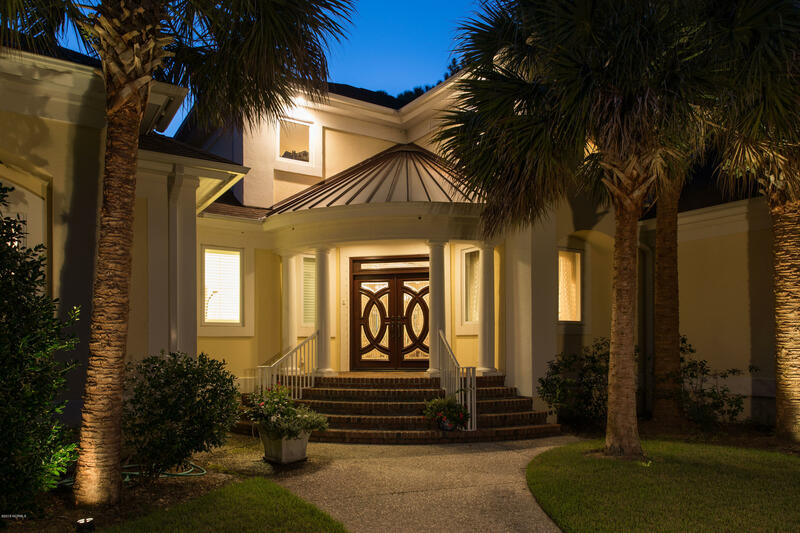 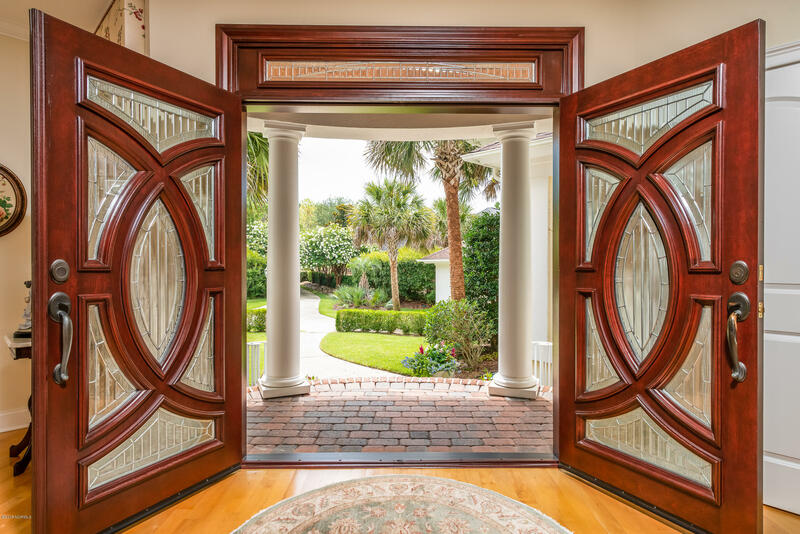 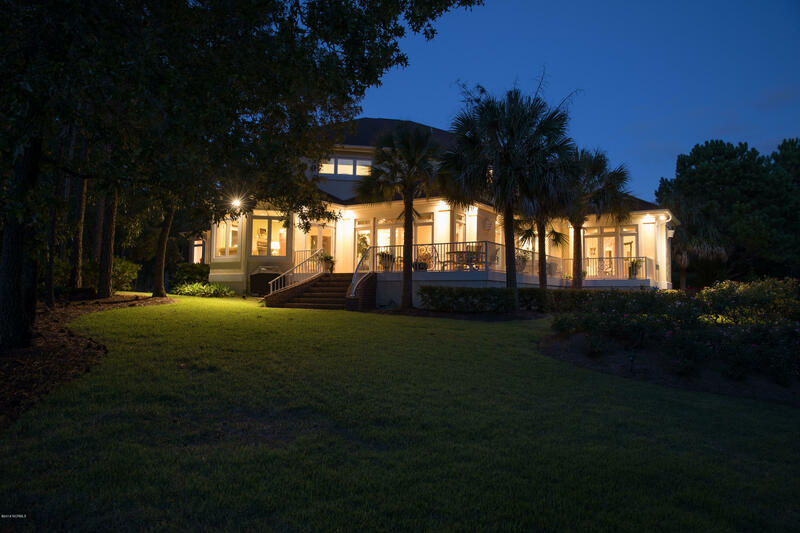 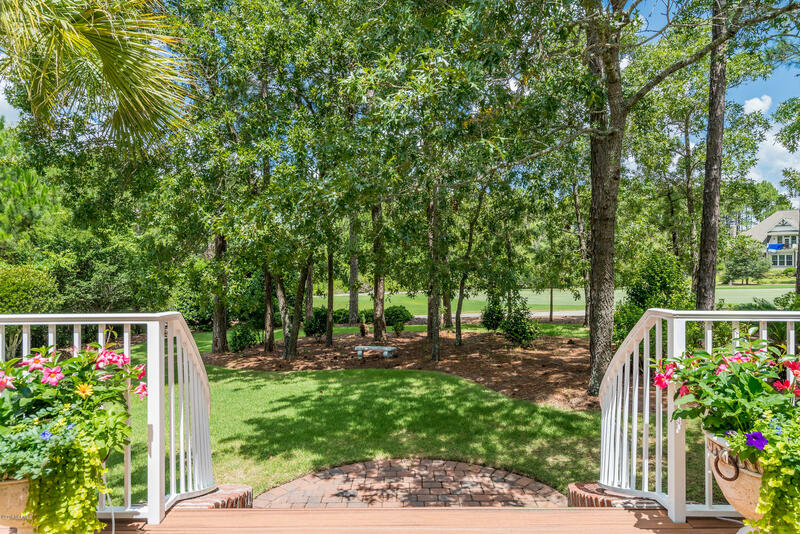 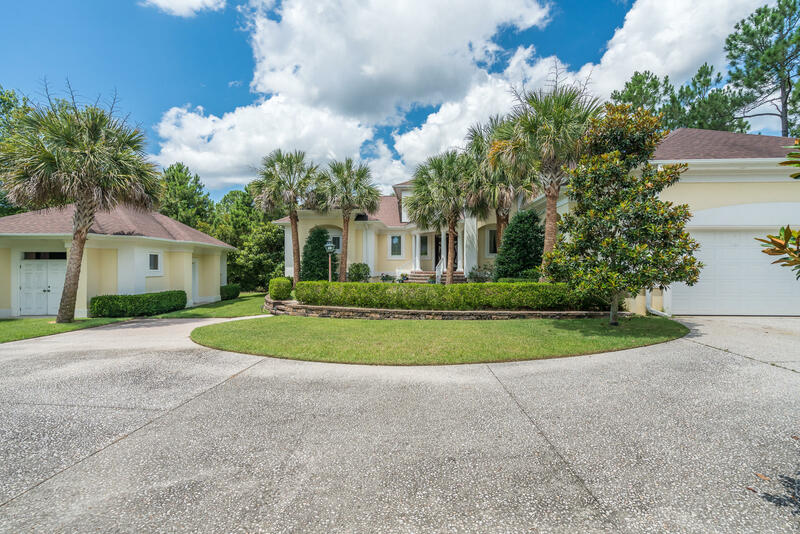 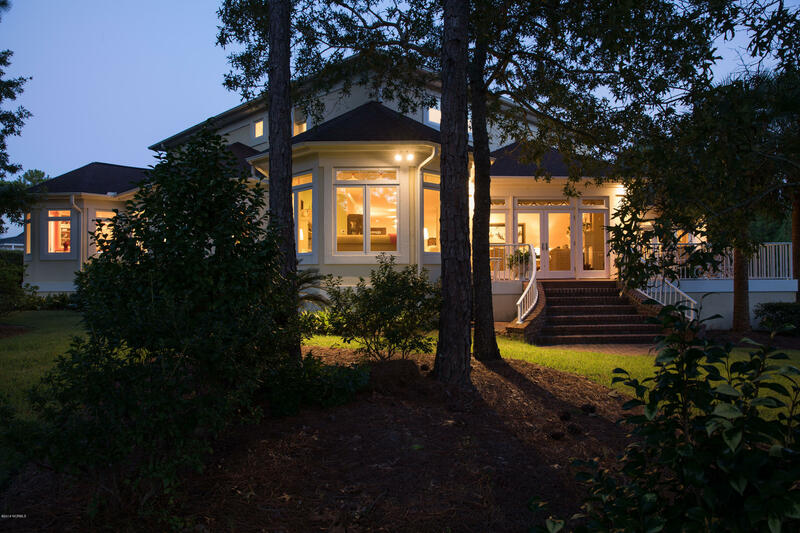 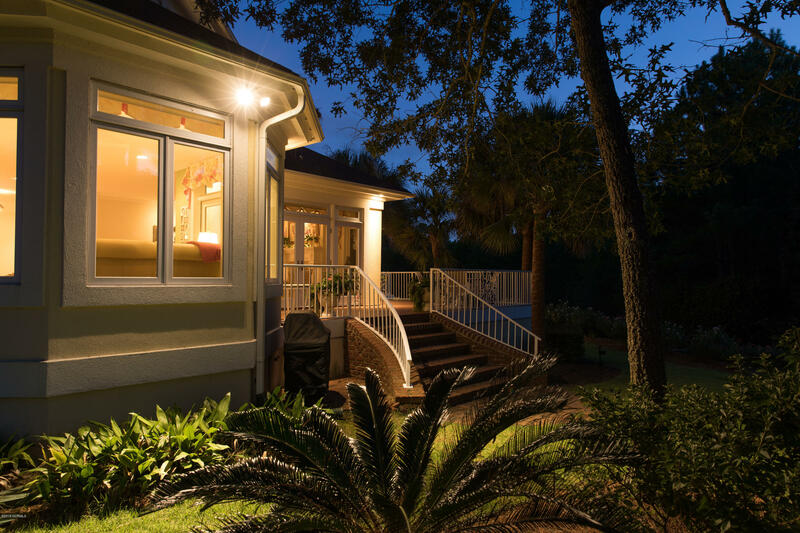 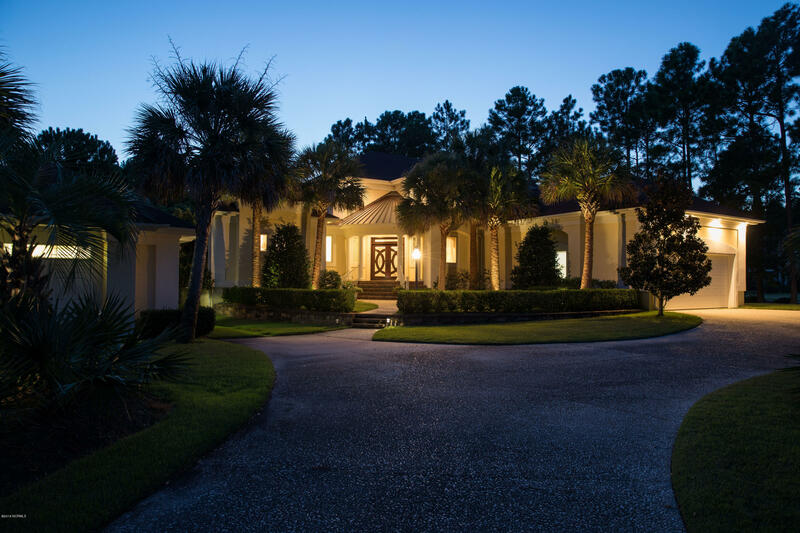 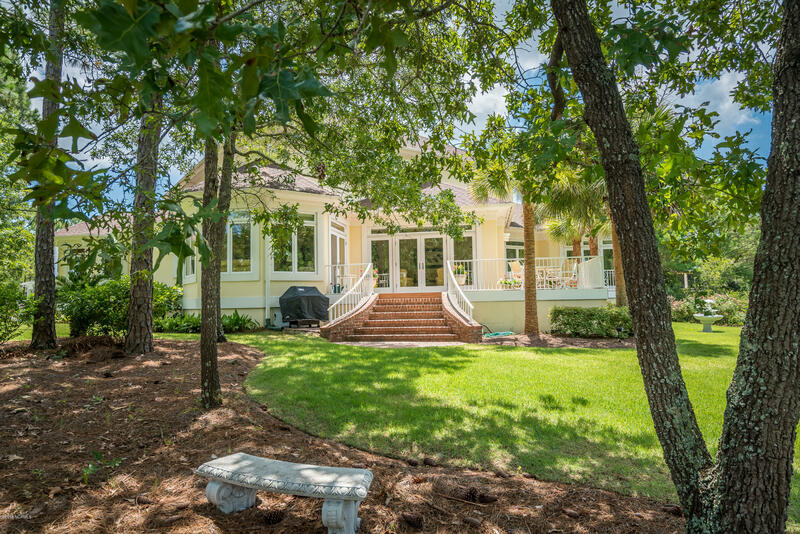 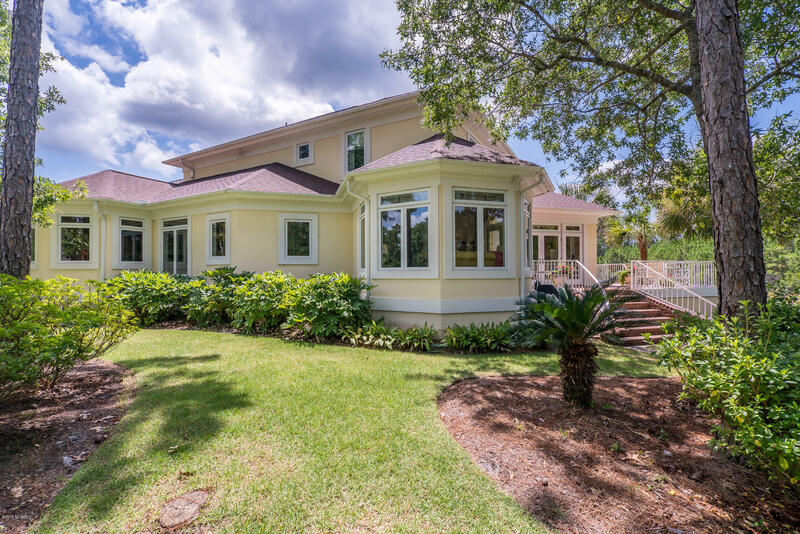 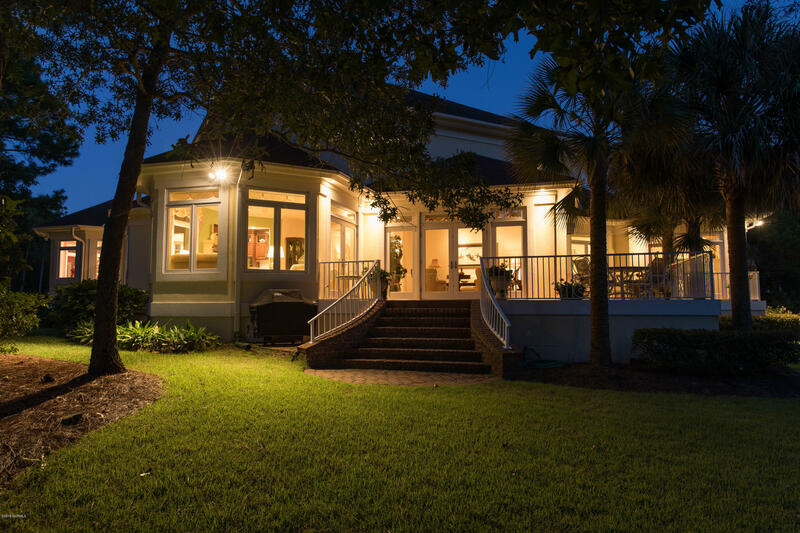 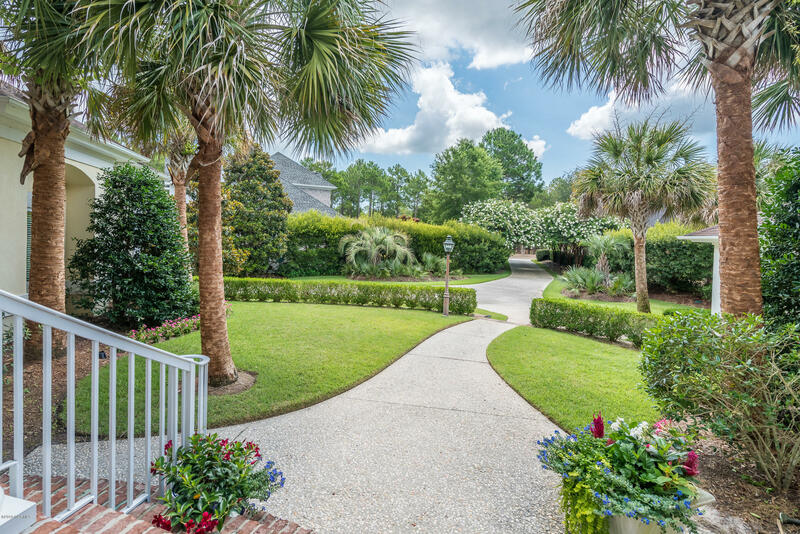 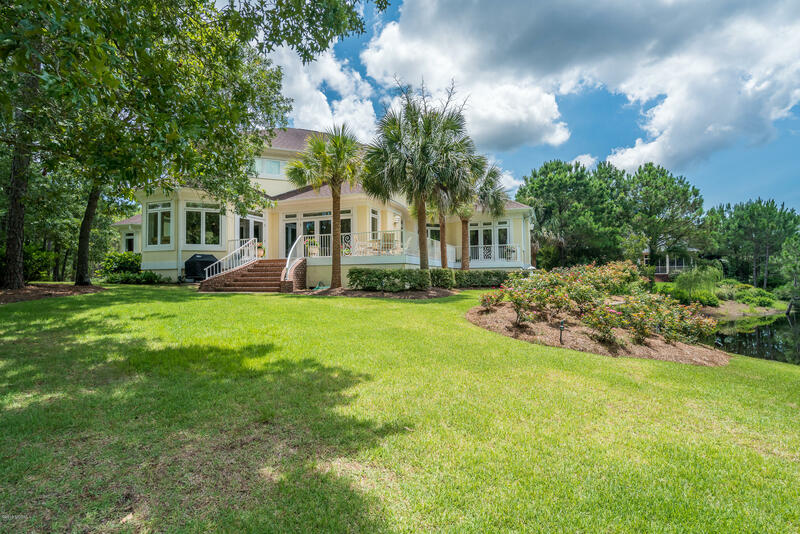 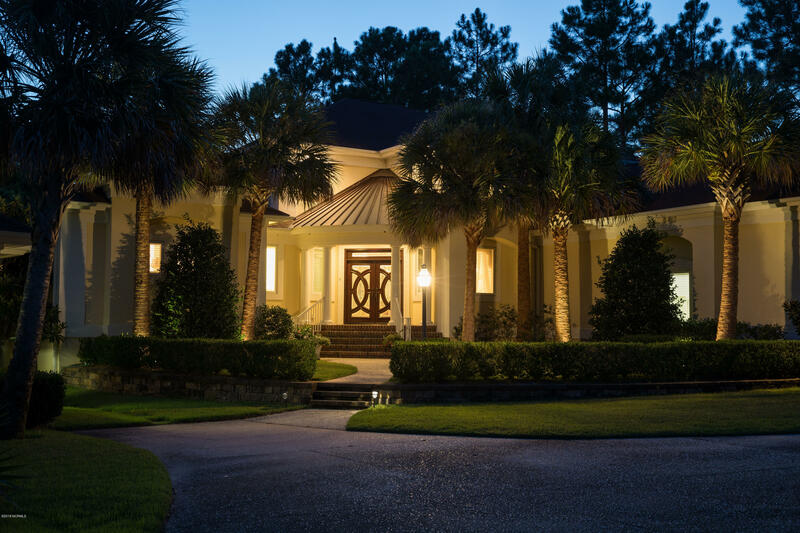 From the Crepe Myrtle canopied drive to the magnificent entry doors, you know you have arrived at a distinguished home with endless custom detail. 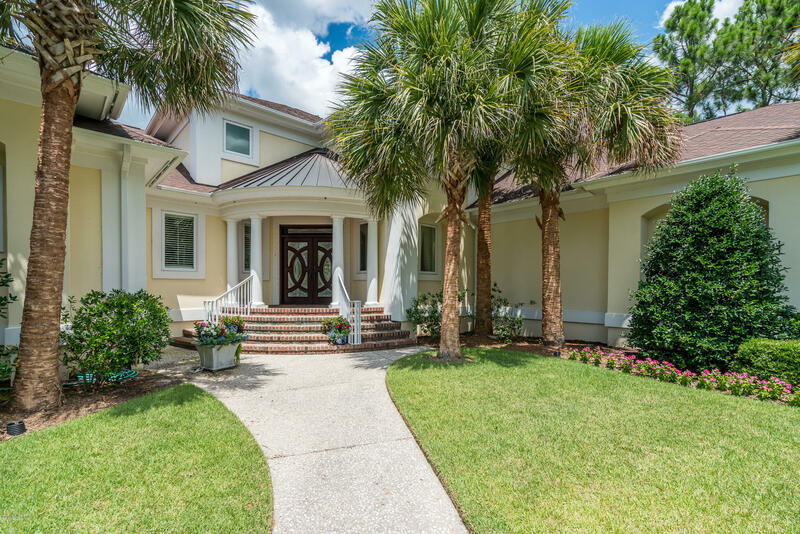 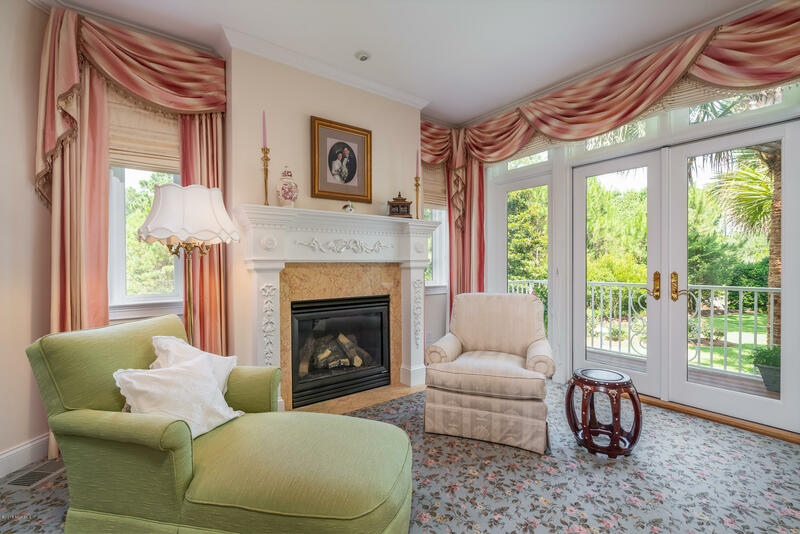 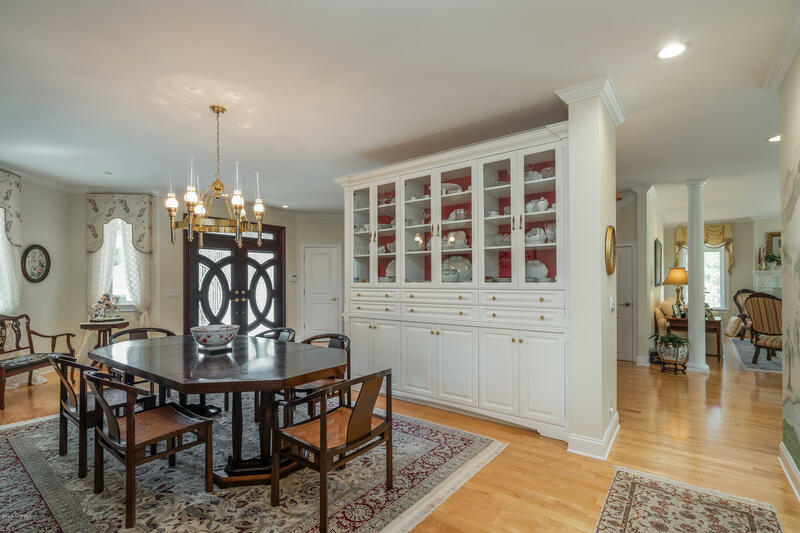 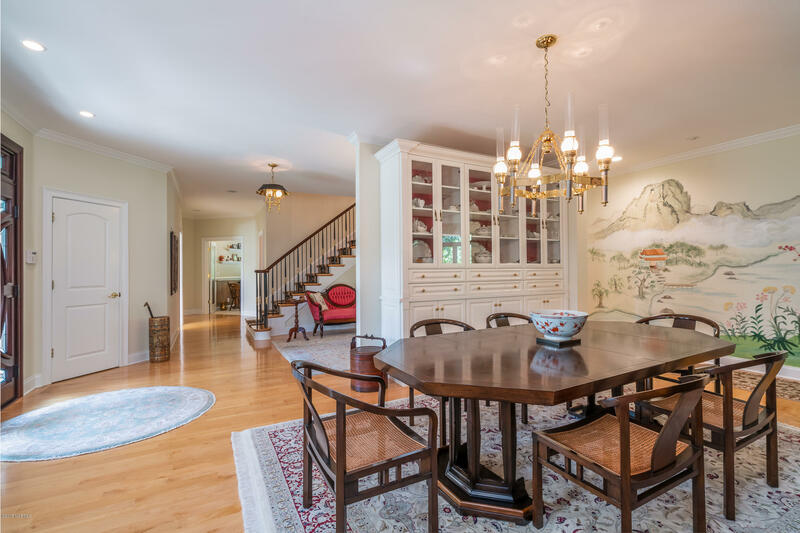 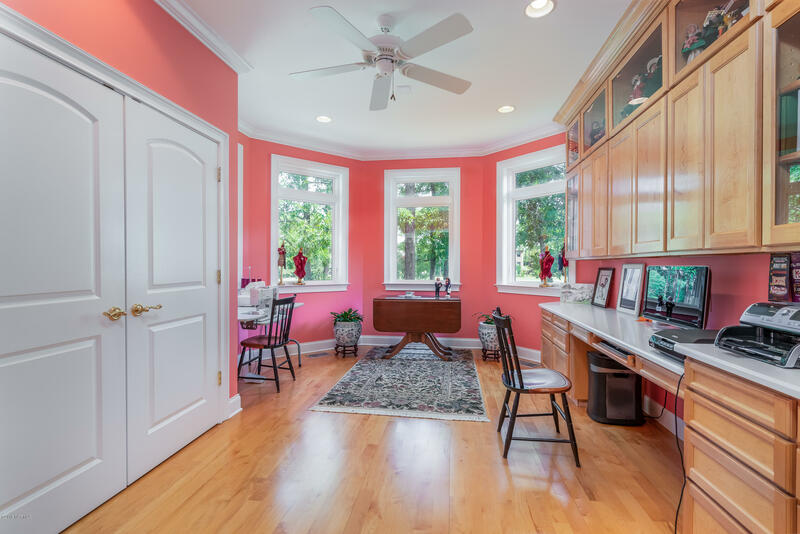 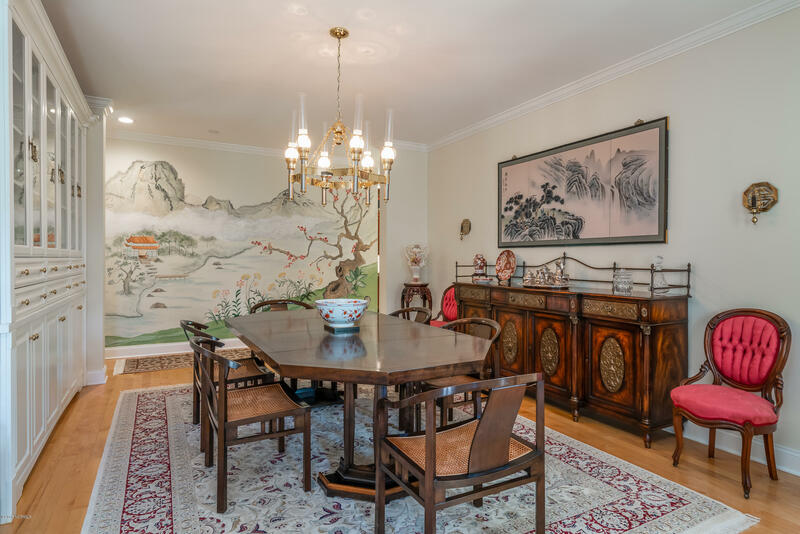 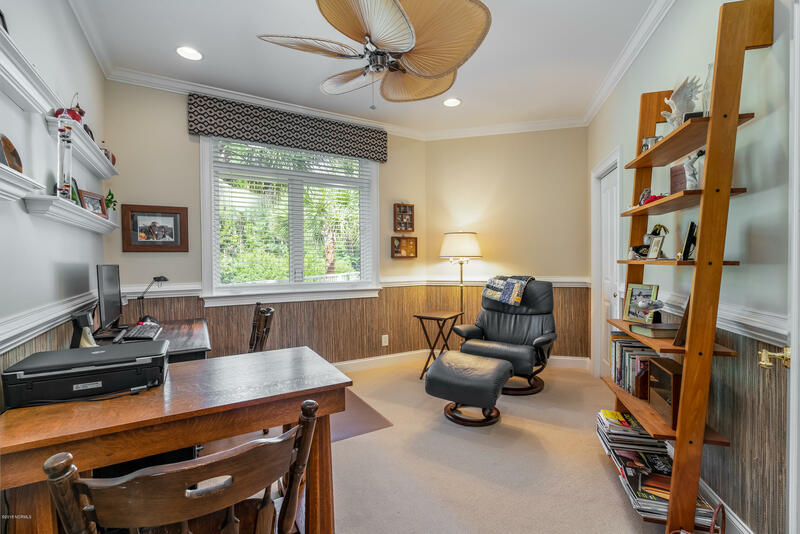 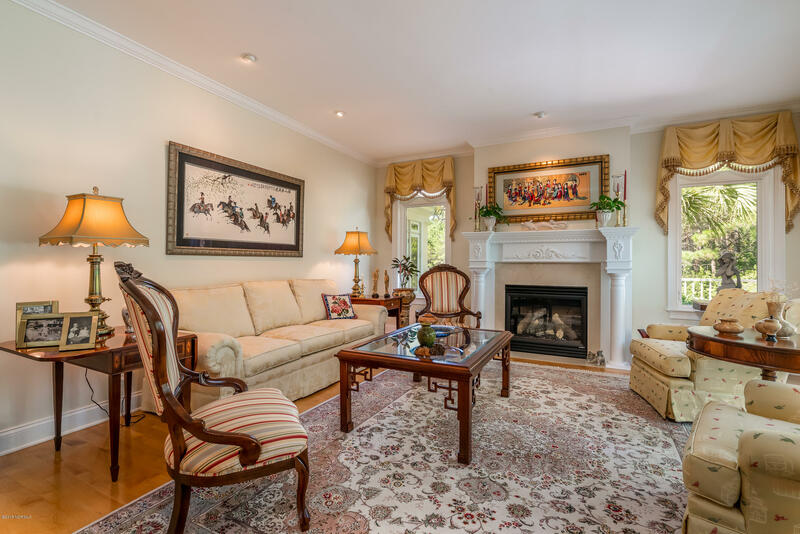 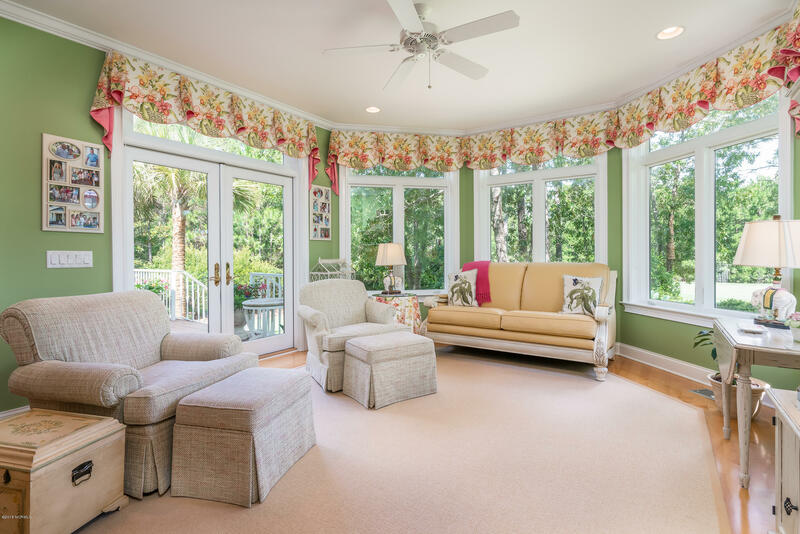 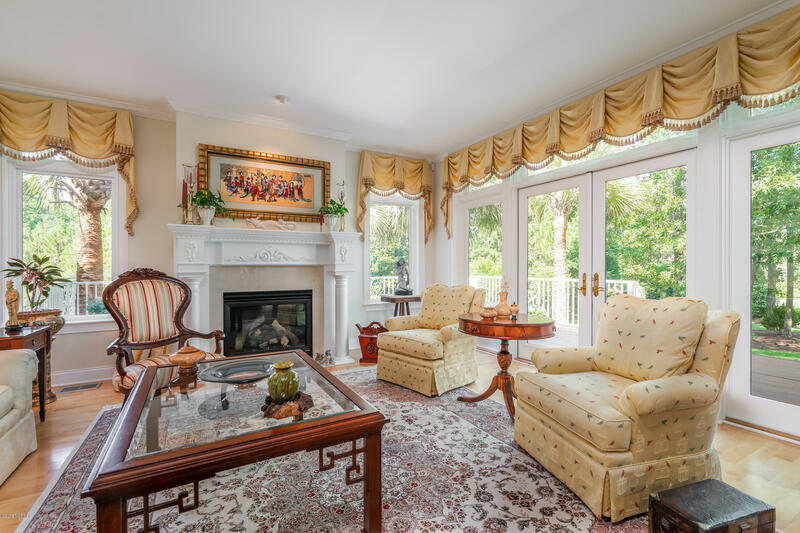 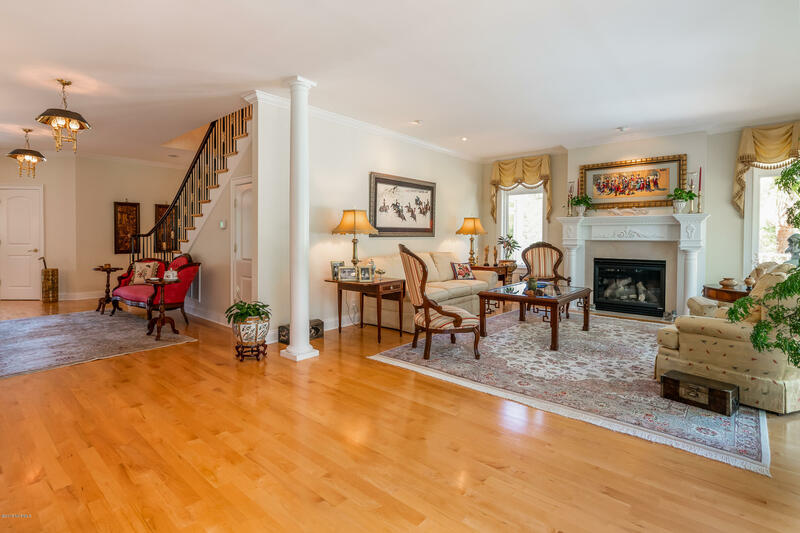 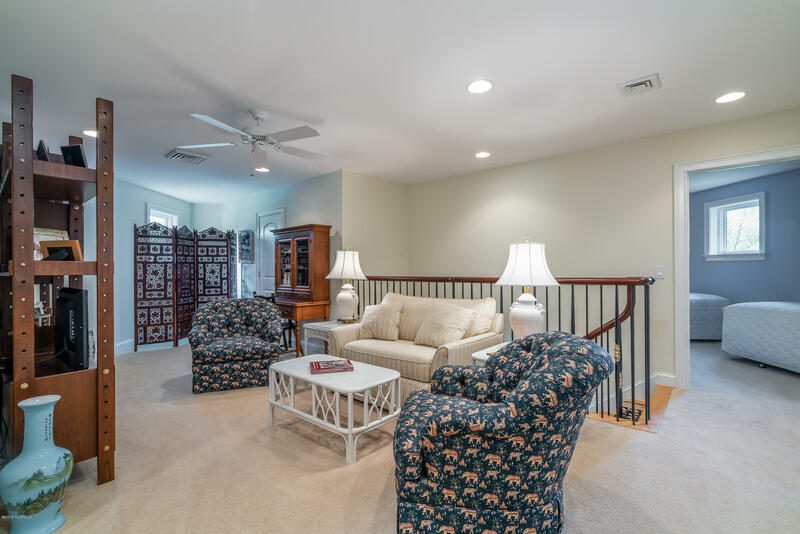 The elegant foyer opens to the spacious Dining room, Living room, Sun room and unobstructed vistas of the professionally landscaped yard, pond, and golf course. 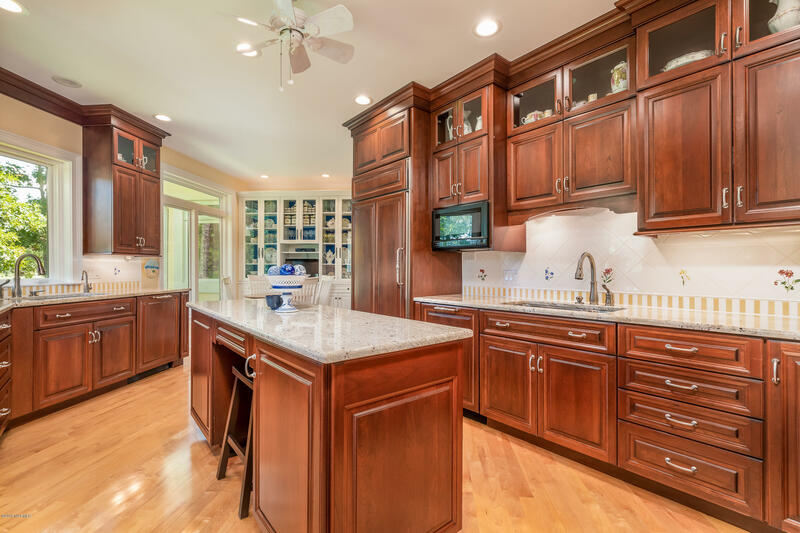 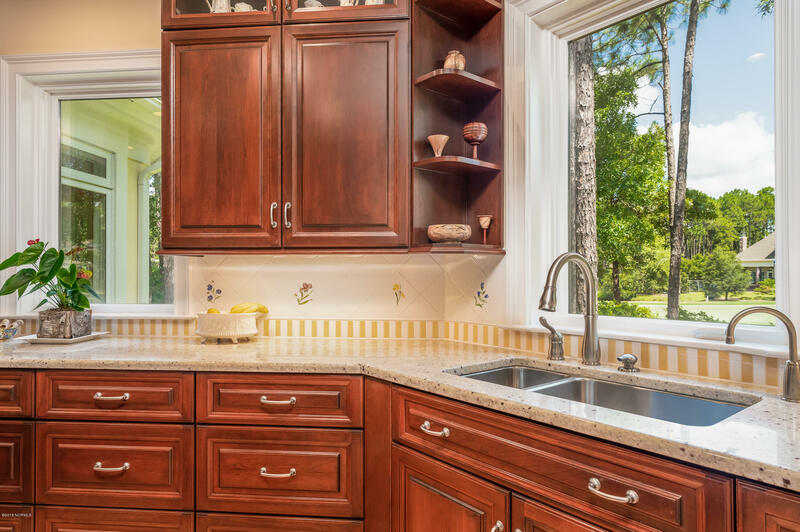 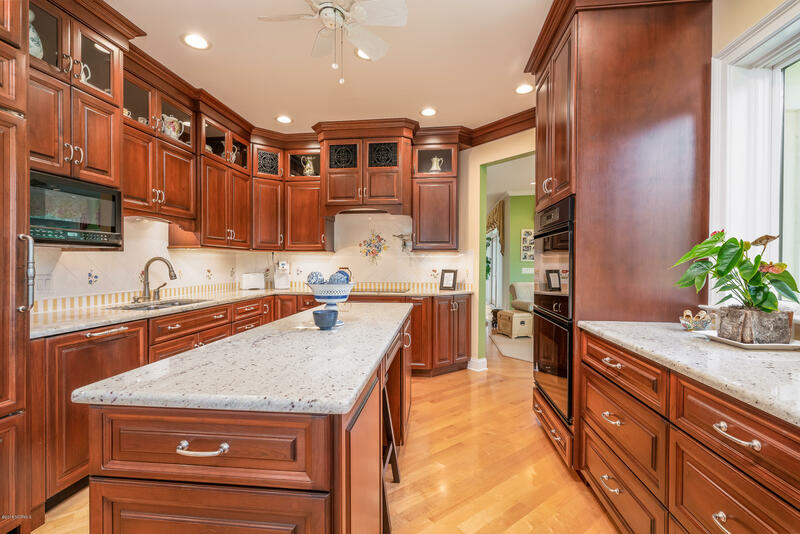 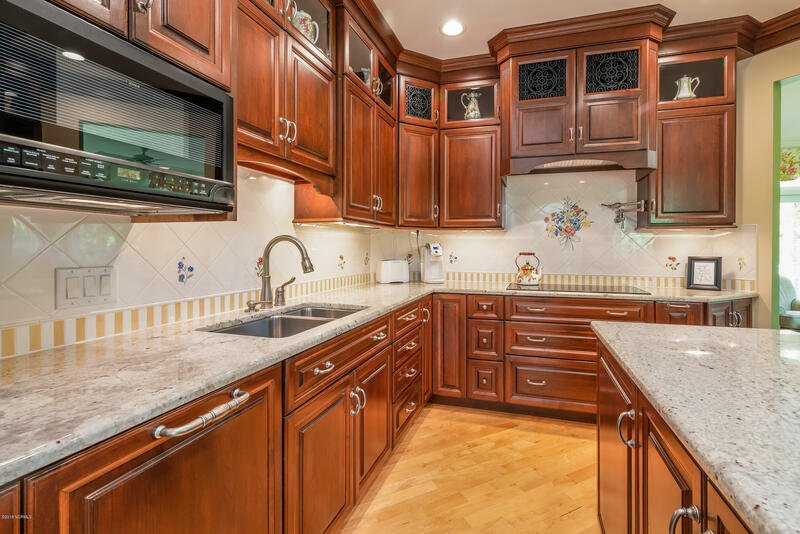 The kitchen is a gourmet chef's delight, with Sub Zero refrigerator, Dacor cooktop, double ovens, warming drawer, 2 sinks and 2 dishwashers, accented by rich custom ''Signature'' walnut cabinets and granite counter tops. 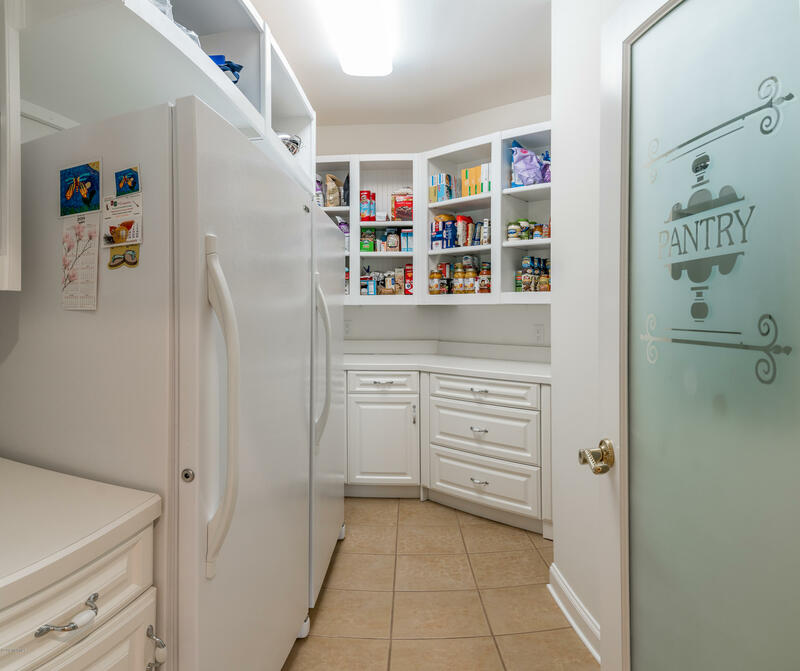 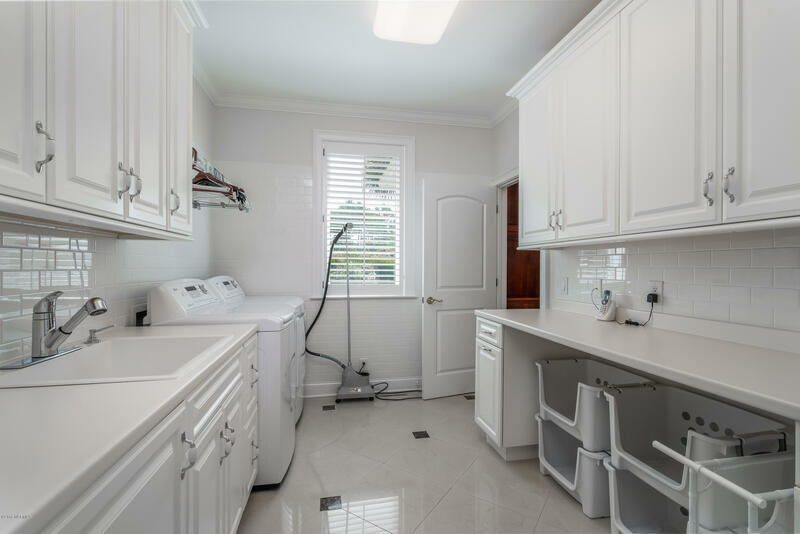 The kitchen is served with a full Pantry with extra refrigerator and freezer. 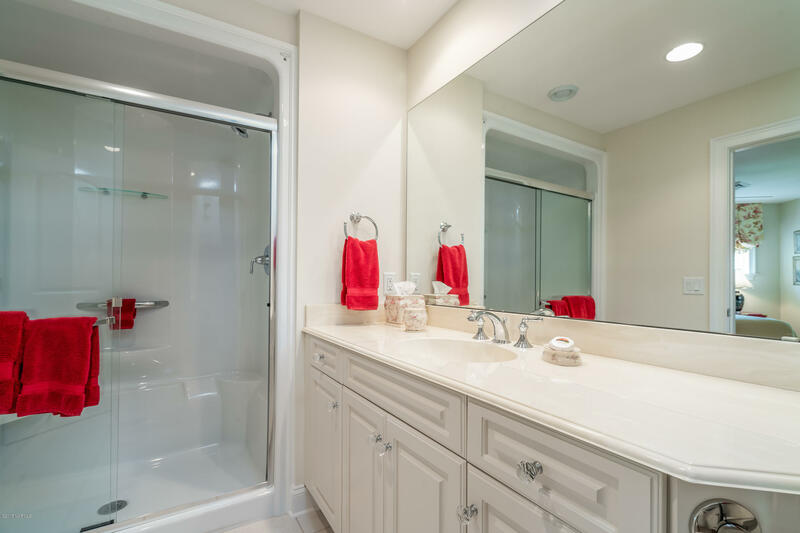 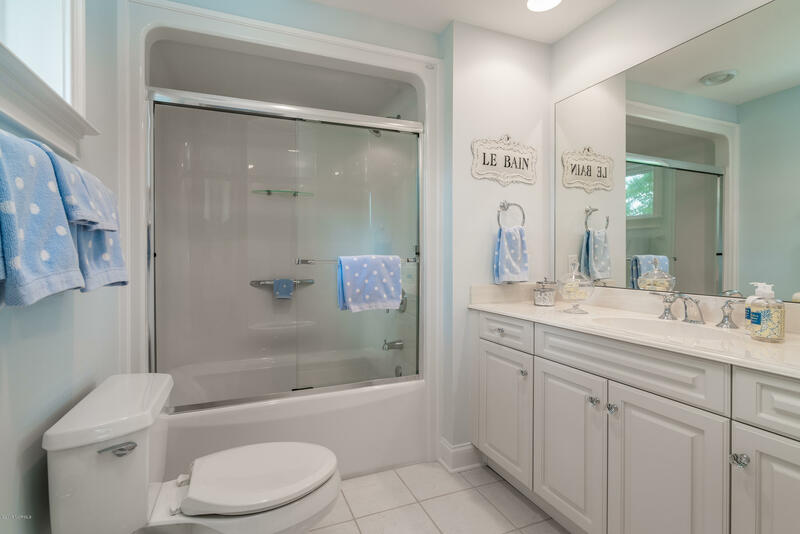 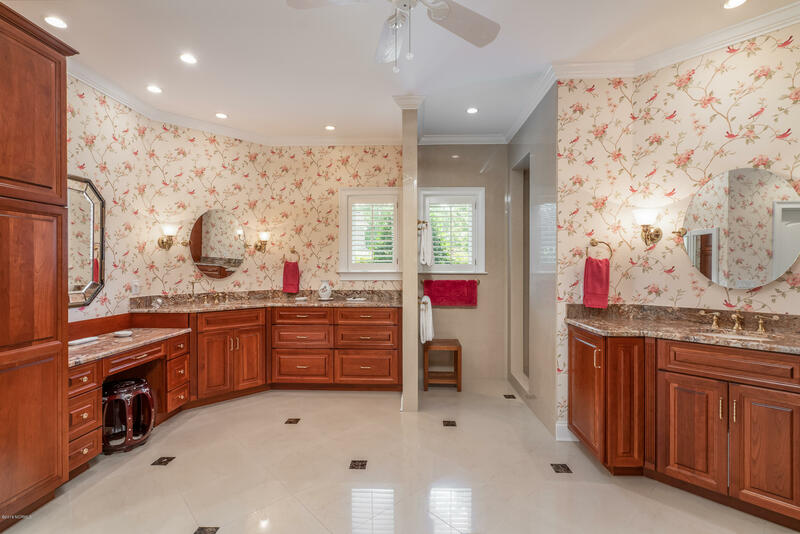 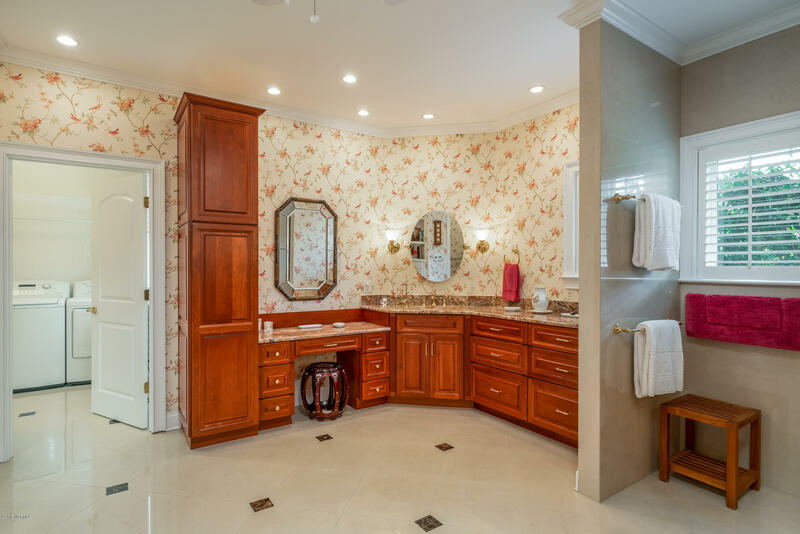 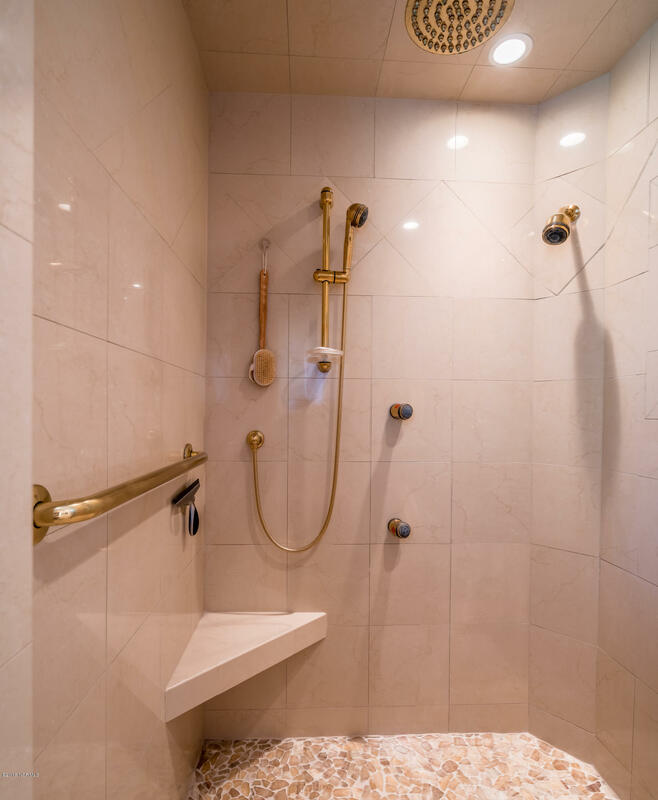 **See Supplement for more comments** The luxurious Master Bedroom/Bath suite inspires owner comfort, with fireplace, heated bath floor, his and her sink vanities, large walk-in tiled shower enclosure, and rich Signature cabinetry. 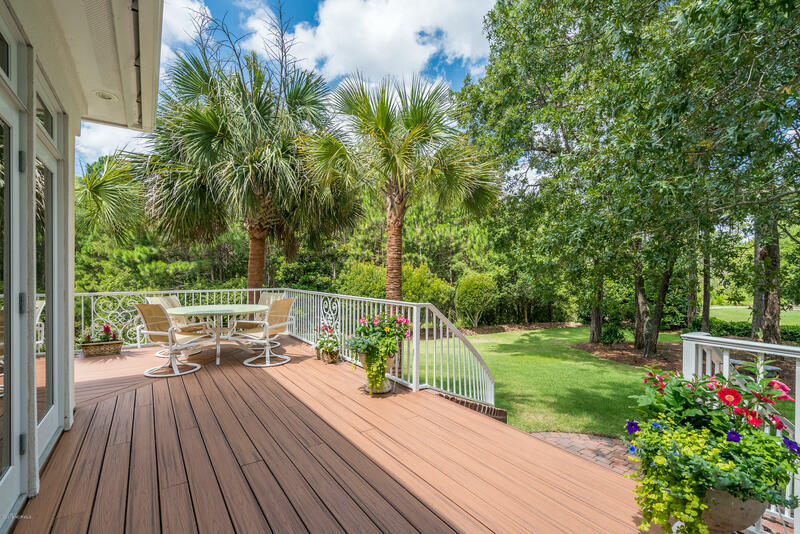 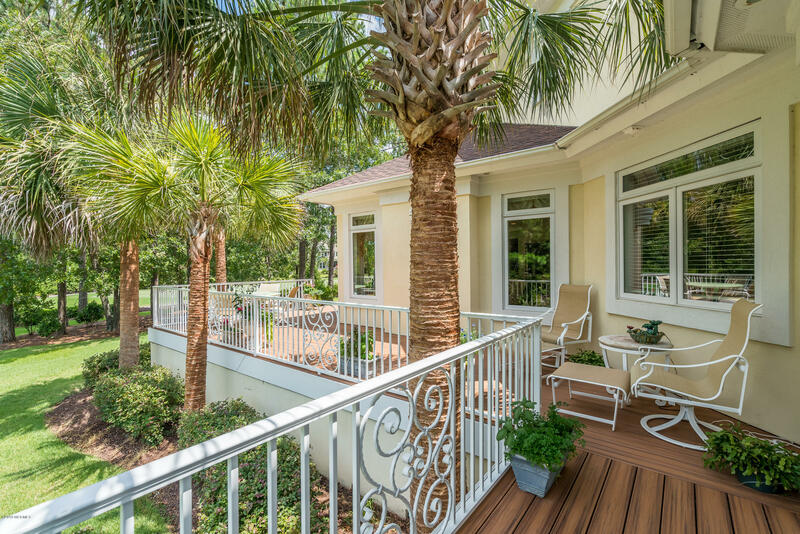 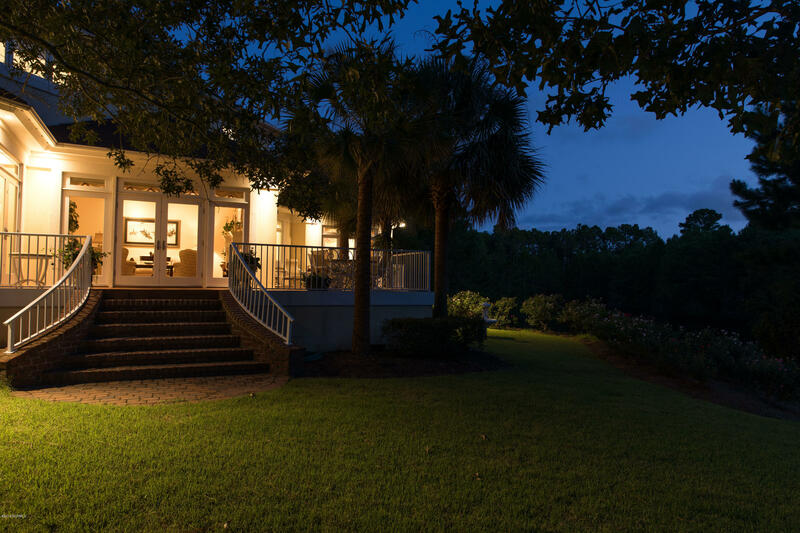 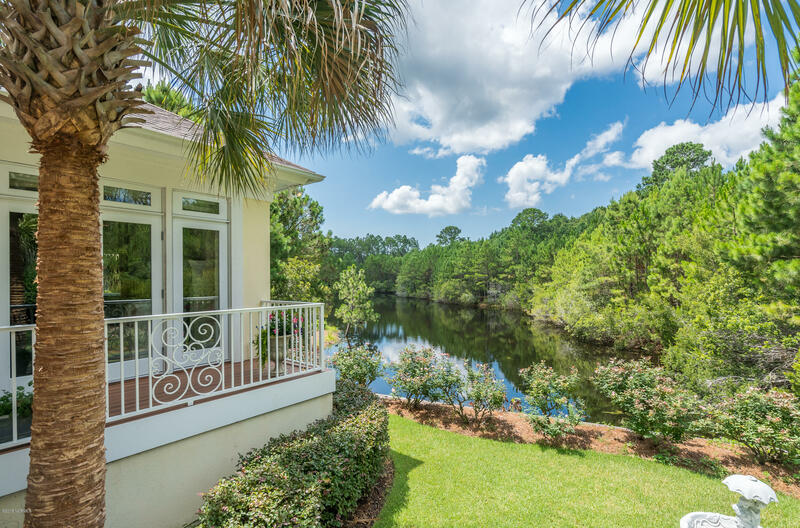 The expansive "Trex" deck is easily accessed from the Sun room, Living room and Master Bedroom for quiet enjoyment of the panoramic nature and golf course views. 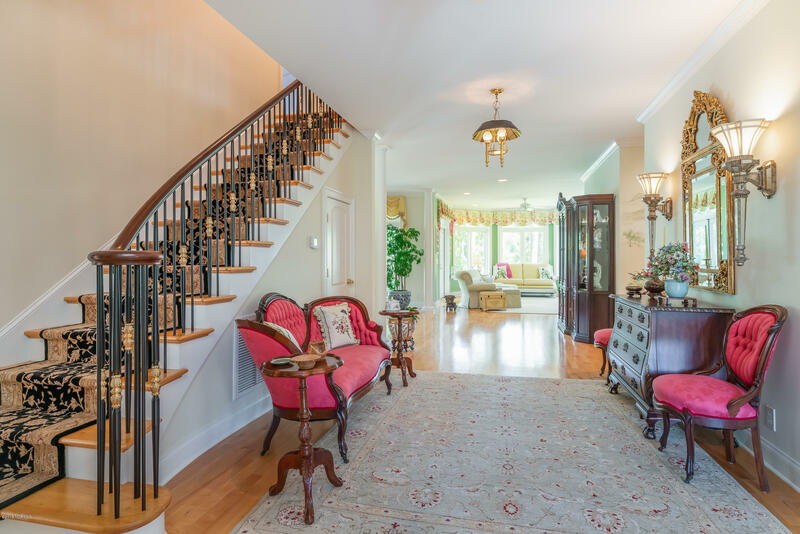 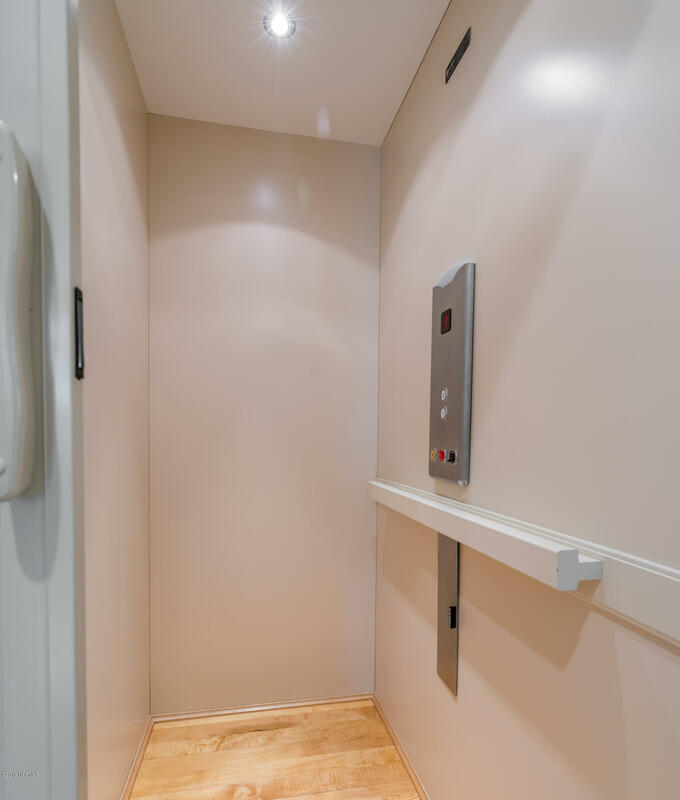 The upstairs is served by the elevator and stairway making the home easily accessible. 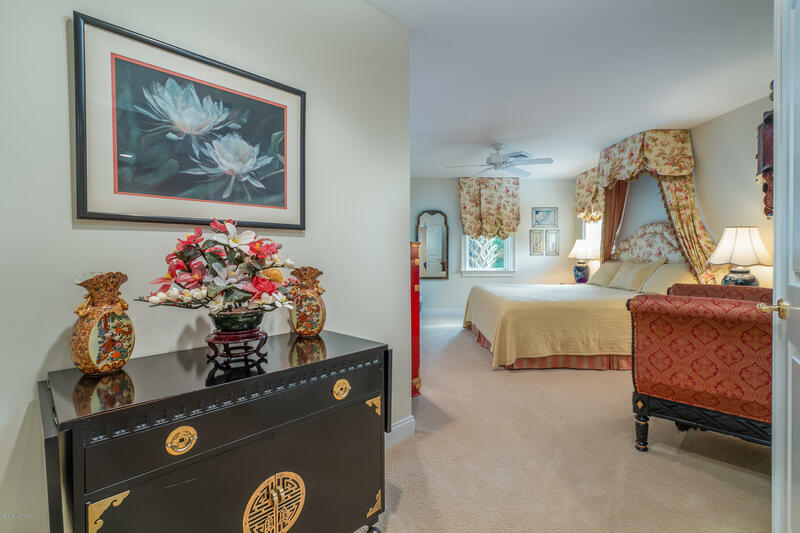 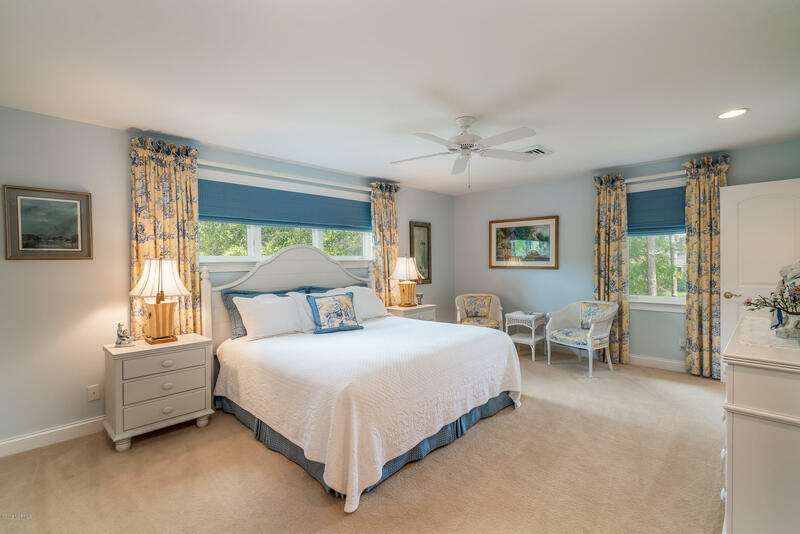 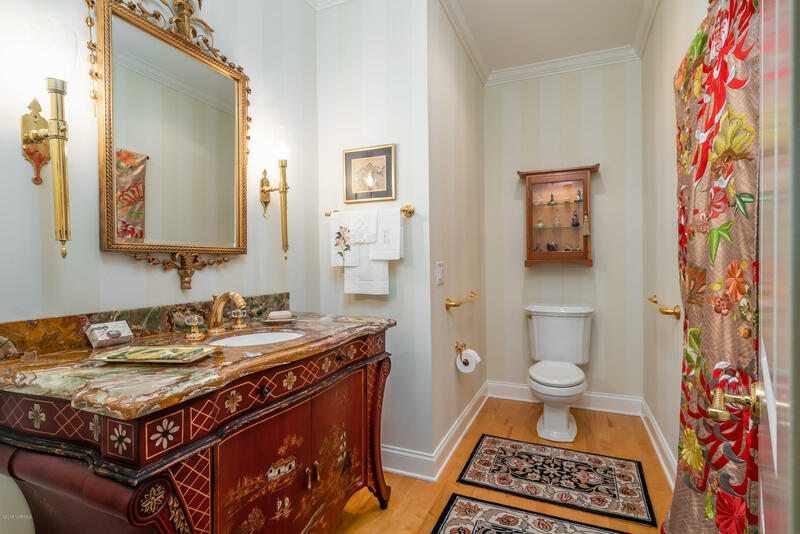 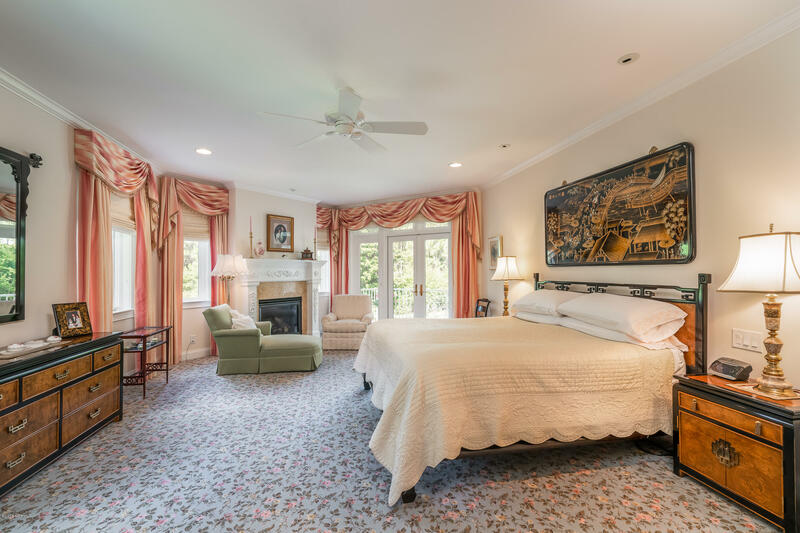 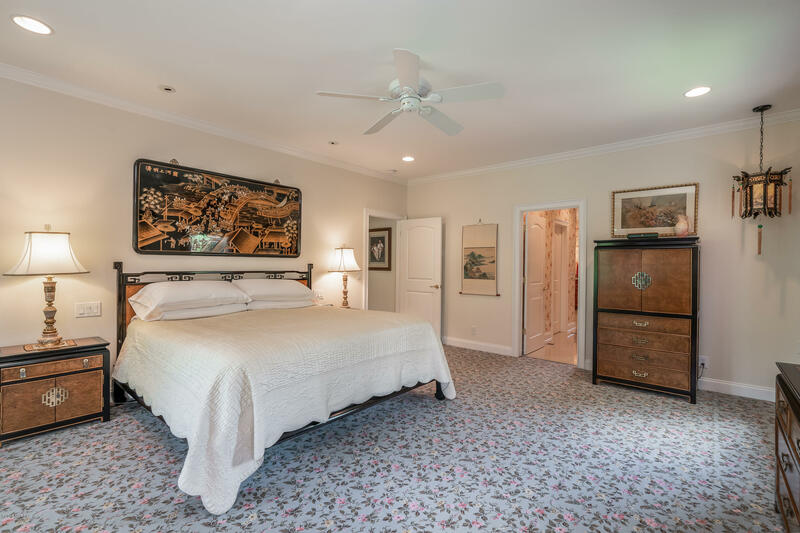 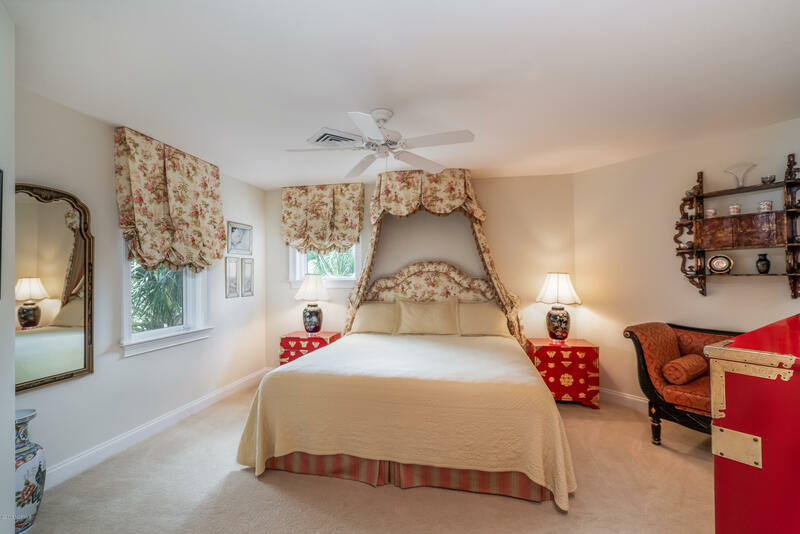 The second floor features a sitting room, two large bedroom suites with private baths and an additional guest room. 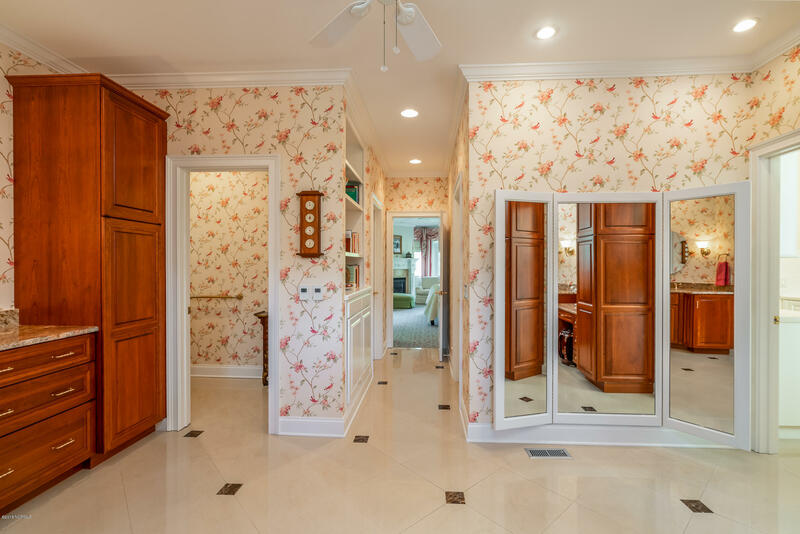 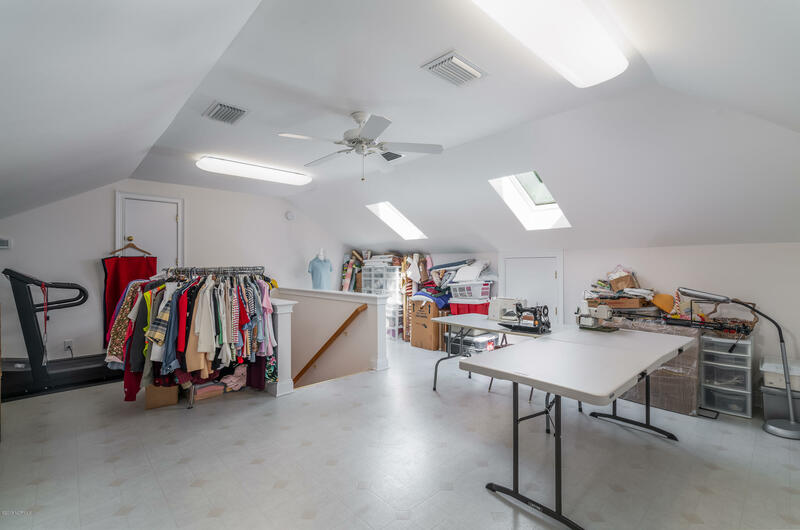 The home was designed with abundant storage closets and space. 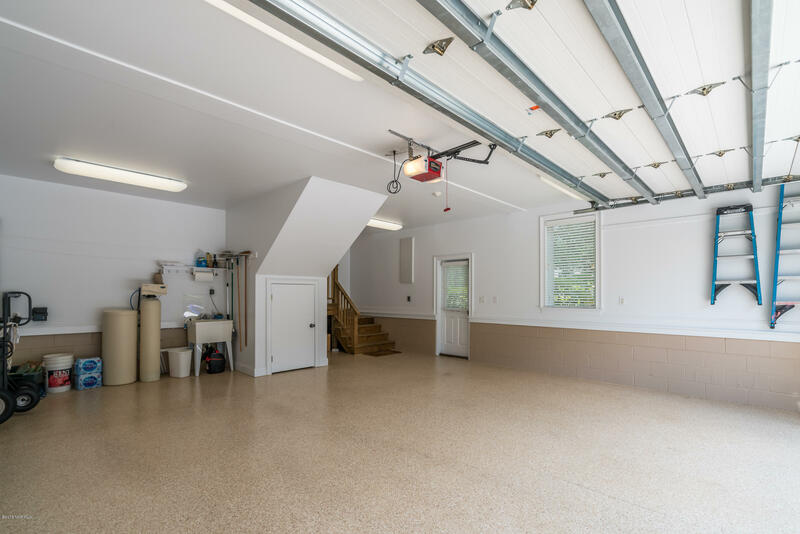 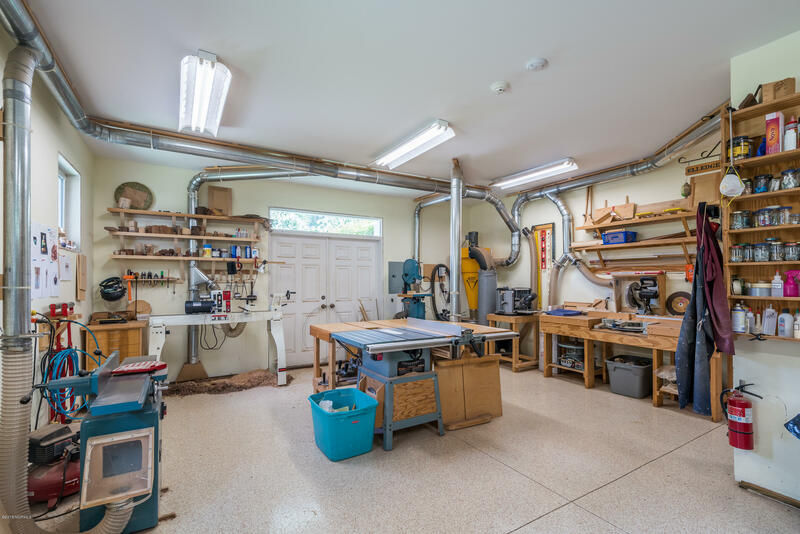 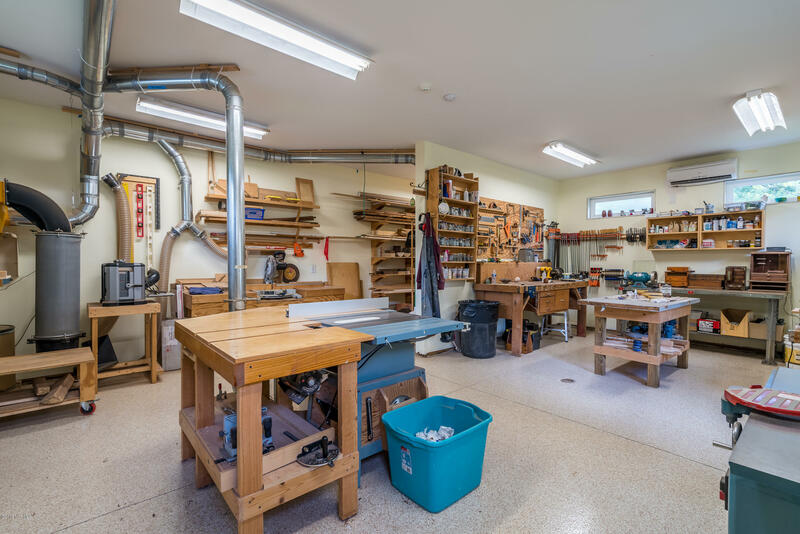 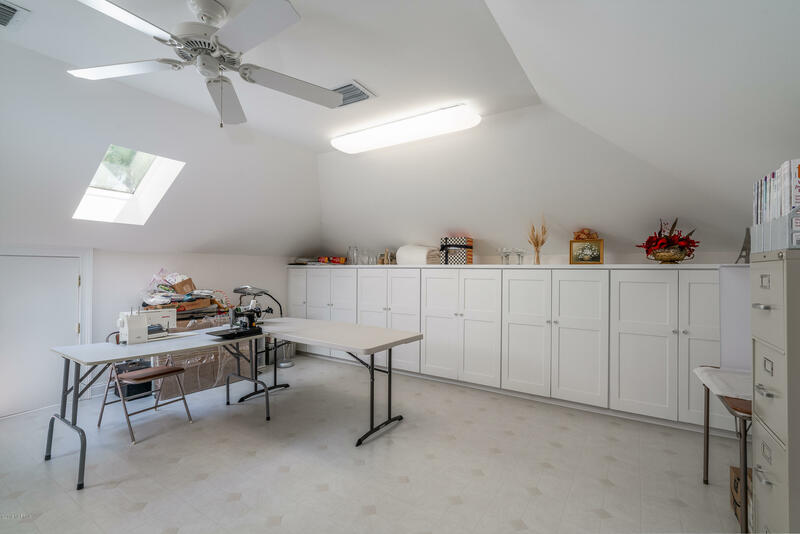 Detached 27'x19' Workshop with heating/AC for crafts/hobbies. 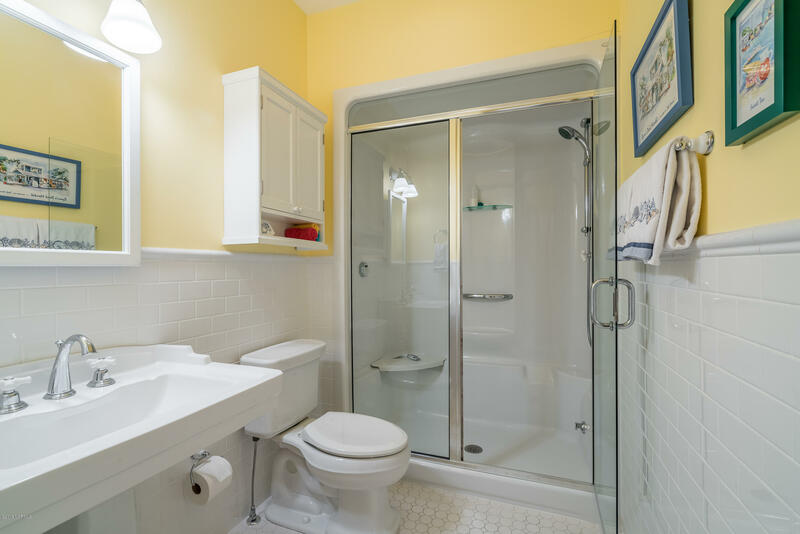 Too many additional features to list. 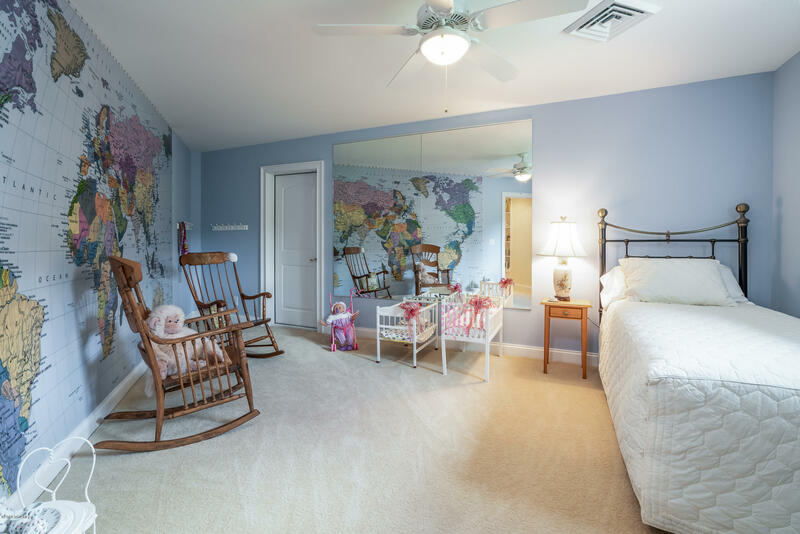 Please see Special Features List and Floor Plan in MLS documents.